The Lodge at Lake Onota is Lakeside Retreats' year-round meeting and activity space. 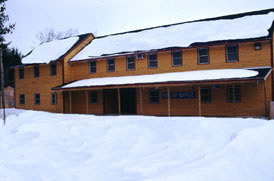 The Lodge provides an intimate setting for all types of meetings, seminars, and retreats. 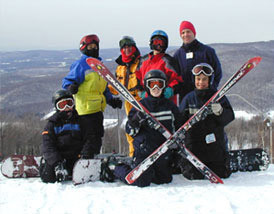 It also can be used as a home base for a Berkshires ski trip, as it is situated in the heart of Berkshires ski country, just a short drive to Jiminy Peak and Brodie Mountain. The fully winterized, 3,700 square foot building sleeps up to 55 overnight guests and is located on our Lake Onota property in the southern Berkshires, less than a 3-hour drive from NYC and Boston.